Meticulous painting contains a long historical background. The development contains a rigorous techniques in the system to form a unique style in painting. 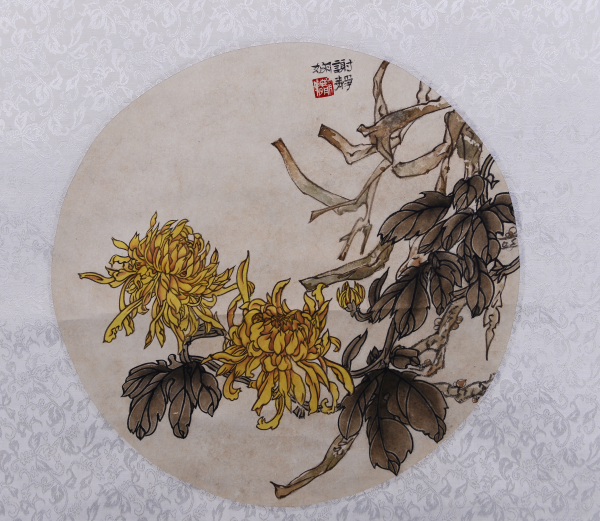 The line style is a characteristic of Chinese painting techniques. By changing the rhythem, tension, strength, line weight or speed, the content will be shown differently. Normally the line is neat, delicate, precise which general be realized by bamboo brash. 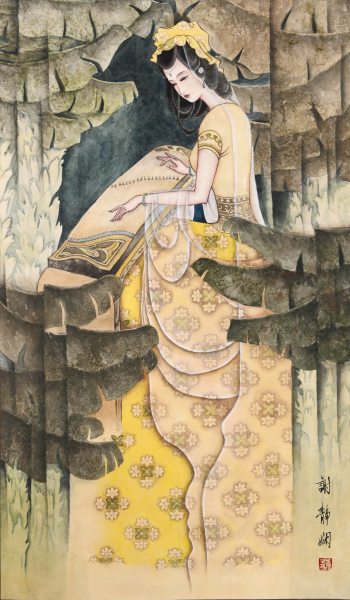 The color of Chinese Meticulous painting would go after Chinese national color aesthetics. 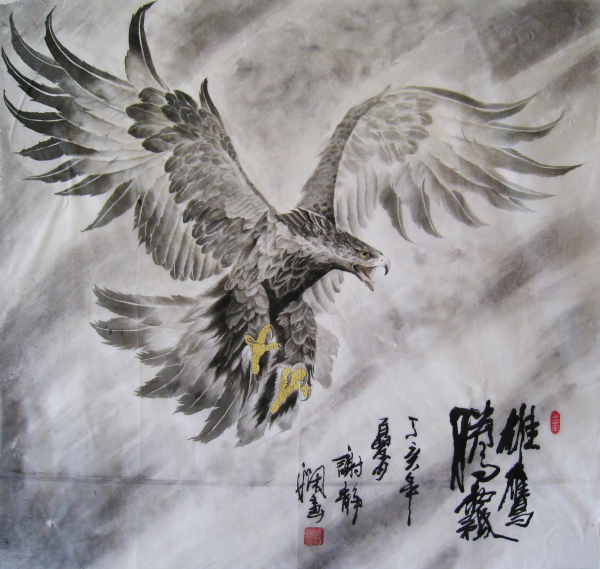 Eagle represents courage and power. 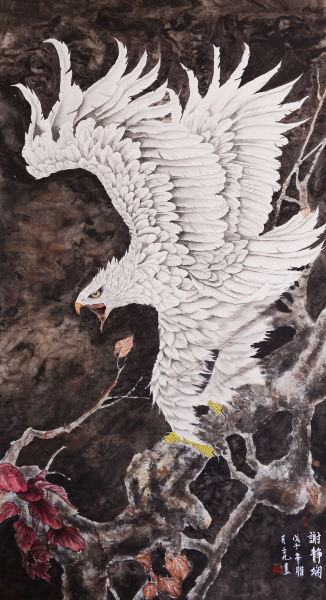 A flying eagle contains the meaning of having a bright future. 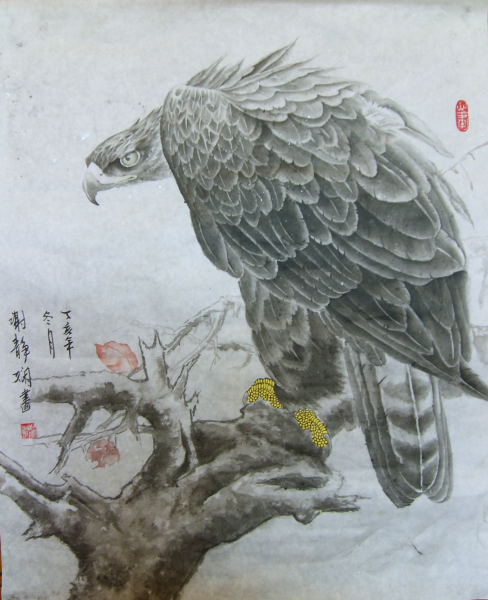 Eagle was painted in realistic painting technique, other elements treated with impressionistic style skill to strong visual impact. Zheng is a traditional type of musical instrument in Chinese culture. The sound from Zheng is pleasing and soft. Sounds will not disappear linearly. Chinese playing Zheng to approach a peace in heart. By taking the background, this paint is also represents a graceful in peace. 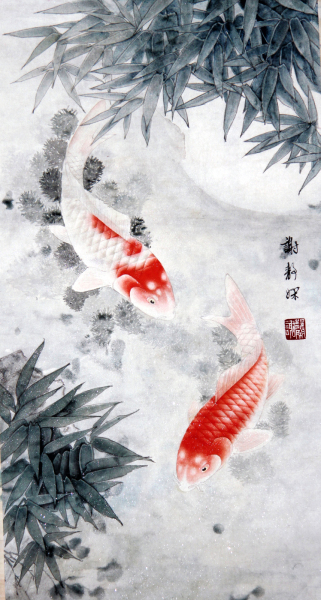 Koi fish is a traditional mascot in Chinese culture, people believe Koi fish would bring fortune and blessing for family. Peony is Chinese national flower and well popular in thousands years. 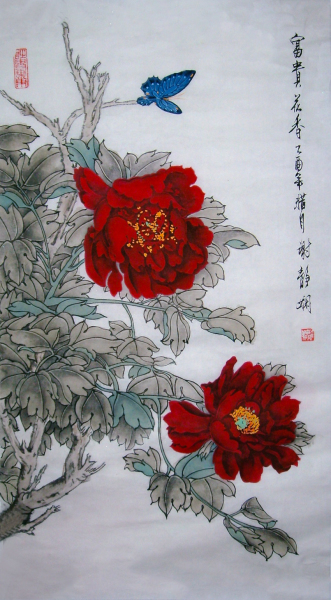 As peony blooms in varies and in great colors, People believe Peony represents wealth and fortune. Foxtail millet is one of the most important crops in Chinese history. A great harvest for farmers persuades a comfortable and nice life.